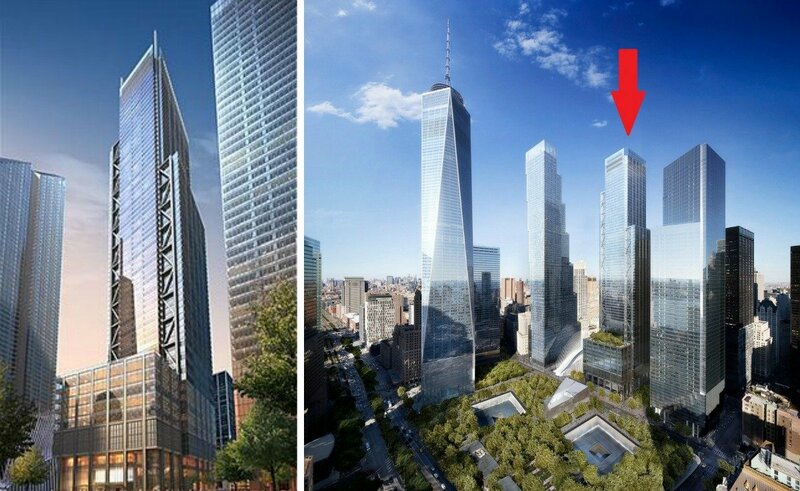 Construction is moving ahead on 3 World Trade, which will have 80 stories, stand 1,170 feet tall, and boast 2.5 million square feet of office space and 300,000 square feet of retail space in the base. Despite the roof changes, the tower will retain its cross-bracing facade scheme. It’s expected to be completed in 2018.